If you have been entrusted with the responsibility of administering the estate of a recently deceased family member or friend, it is helpful to know in advance the range of duties that will be expected of you. Administering a will as the estate’s executor can take upwards of six months, or even years, and will require equal measures of patience and methodology. What follows is a step-by-step guide to what you can expect on this legal journey. If you are aware that you have been named executor or executrix of a will, chances are you will know where the will itself is located. In Pennsylvania, state laws govern the administration of wills, and once you have the correct document in hand, you must take it to the Register of Wills in the county where the deceased resided. For example, if the person lived in Delaware County at the time of death, then you would go to the Delaware County Register of Wills. You will need to bring original copies of the death certificate along with a check for fees. 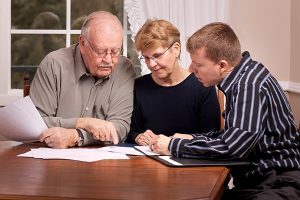 When the will has been officially examined, it will be recorded and you will receive a “grant of letters” or “letters testamentary.” These letters testamentary serve to formally appoint you as administrator of the will, endowing you with fiduciary duties—the authority, and responsibility, to manage the estate’s assets in good faith. It is most likely that the estate will then be put into probate. The step of registering the will and initiating probate should be carried out as soon as possible after the decedent’s death, because there are time limits in Pennsylvania for carrying out the remaining steps in the estate administration process. Thoroughly examine all of the decedent’s papers in order to prepare an inventory of his or her assets. Look carefully for evidence of potential creditors, including credit card statements and any recurring payments made from a checking account. It may take time to assemble all of the information you need. The purpose of your inventory is to determine what portion of the decedent’s assets will be needed to satisfy debts and tax obligations, thereby determining what remains for distribution to the decedent’s heirs and beneficiaries. Pennsylvania allows six months from the decedent’s death to complete an estate inventory, which will include your estimation of what the residual value of the estate is likely to be after all creditors are paid. You will also be required to notify heirs and beneficiaries named in the will that probate is underway and that you have been appointed as the estate’s administrator. In Pennsylvania, you must notify creditors and heirs/beneficiaries within three months of the decedent’s date of death. The decedent and his or her estate are two distinct tax entities, so the IRS will issue the estate an Employer Identification Number (EIN) for the estate. This is something the executor or the estate attorney needs to do before opening any estate bank accounts. Once you have the estate EIN, you will need to open a bank account in the estate’s name in order to gather his or her assets. This may even extend to selling property if that property was not specifically allotted in the will such as the decedent’s motor vehicles. Any assets sold will have to be formally valuated and that information will have to be submitted as part of the estate inventory. Creditors can be paid only after such payments are approved by the Register of Wills. In some cases, distributions to heirs and beneficiaries can be made based on the estimations you have made to the Register of Wills before all creditors have been paid. Or, it may be necessary to wait until final numbers can be calculated. Once the estate has no remaining creditors, you will have the responsibility of paying the heirs and beneficiaries according to the decedent’s wishes. When the estate’s account is all settled up, you will complete a final notice to the Register of Wills. At that point, probate will be closed. You can take on all these responsibilities yourself, but the trust and estates attorneys at Raffaele Puppio in Media, Delaware County, are well versed in these matters. If you are facing the daunting responsibility of being the administrator of a will, we are available to help.